So I have to admit that this summer, although not over and there may be surprises ahead, did not live up to my expectations. Many more obligations sprung up than I had expected. However, my family and I are lucky enough to have a place on a lake. We spend two weeks every August there and those two weeks are pretty sacred. This year because of all that was swirling around us my husband and I both had to work through that time. Our vacation was less a vacation and more of a change of scenery. But even that was not all that bad. 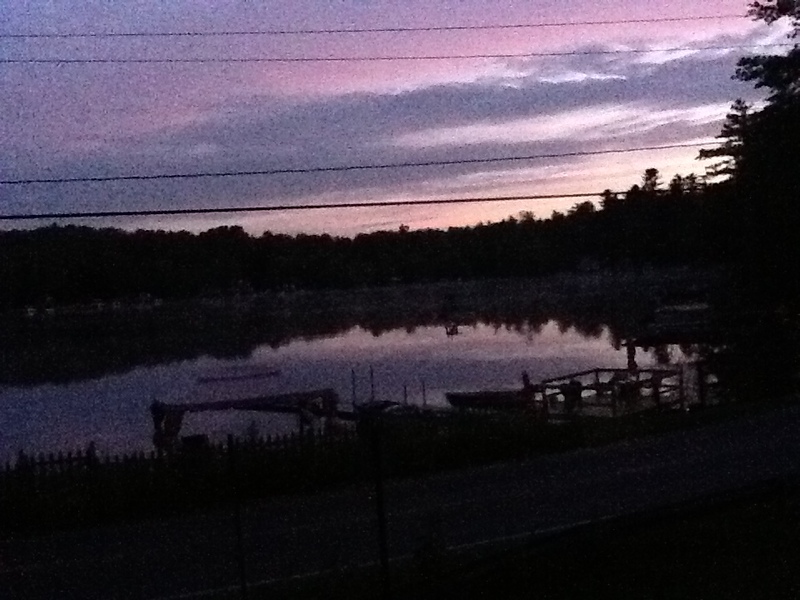 The picture above is of the sunrise on the lake. This year there were crickets, frogs, geese and roosters. There was not much sleeping past 4:30 in the morning most mornings. Fortunately I am an early morning person. I really like those quiet moments. One day of the vacation I was firm, I turned the phone off and enjoyed the sunshine. Early in the morning I slept in the sun for about 1/2 hour. And then as I lay on my back I watched the clouds blow in the wind. It is an amazing thing to watch a cloud just disappear. I watched the leaves rustle in the wind. The light played off of them, nature’s kaleidoscope. And if that were not enough then the seagulls began to play in the wind. It wasn’t until recently that I discovered that birds, at gulls, play in the wind. Wouldn’t you if you were a bird? Posted in ponderings and tagged early morning, gratitude, play, summer. Bookmark the permalink.